Shareholders of Australia’s flagship airline Qantas have had a very rough week. A serious loss warning and (unsuccessful) calls for government support were quickly followed by a credit rating downgrade to “Junk” by Standard & Poor’s (S&P). Other ratings agencies may soon follow suit, and the problems are set to worsen. Qantas issued a loss warning for its 2013 first half results on Thursday, estimating that the airline is between A$250-300 million in the red over the period. While not entirely unexpected, this will be Qantas’s first ever first-half loss, and the airline also announced that it is going to have to speed up 1,000 job cuts that are being executed to cut costs. 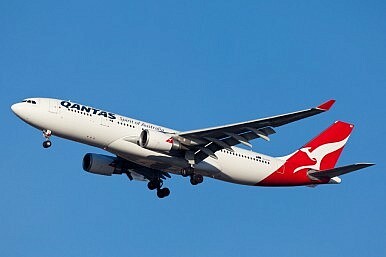 The airline’s call for government support was apparently rejected on Friday by Prime Minister Tony Abbott, and Qantas cannot have been happy to hear the Australian leader use the phrase “bottomless pit” while rejecting the idea of state subsidies. Even before Abbott’s apparent spurning of Qantas’s plea, ratings agency S&P downgraded the company’s rating to a junk grade level of BB+. Fellow credit ratings company Moody’s issued a research note in which it said that it had put the airline on review for a possible downgrade. If any are wondering why the ratings agencies are reacting so harshly to the company’s loss from January to June, it should be noted that Qantas’s domestic operations have been covering ongoing losses in its international business for quite some time. If the domestic business can’t support its own sick international brother, then problems amplify quite dramatically. Most analysts seem to attribute Qantas’s dreadful first half performance to the fact that losing in its competition with Virgin Australia, its main rival in Australia’s domestic air market. Virgin Australia, which unlike Qantas has no limits on foreign investment or shareholding, has been able to fully leverage its investors (including Singapore Airlines, Air New Zealand & Etihad) for cash, which is being deployed to take on its rival. Clearly Branson is worried that political pressure in Australia may result in some kind of support for Qantas. He is not alone in questioning whether the government would be damaging its “open for business” credentials if it stepped in to support Qantas directly, rather than altering legislation to allow the airline to access foreign investment on more equal grounds with Virgin Australia. As Australia’s economy seems to be slowing from its giddy China commodities driven boom, the government will have to walk carefully if it is to avoid upsetting international investors. Qantas looks to be seriously on the ropes, but there are better and worse options for the government if it decides it must act. New Zealand celebrates a ‘beautiful set of numbers.’ Australia does not. China, Australia Seek to Close Free Trade DealJuly Date For Australia-Japan Free Trade Deal?Asian Firms Shine at Sustainability AwardsAustralia’s Post-Boom BluesWho Resurrected the China-Australia Free Trade Agreement?